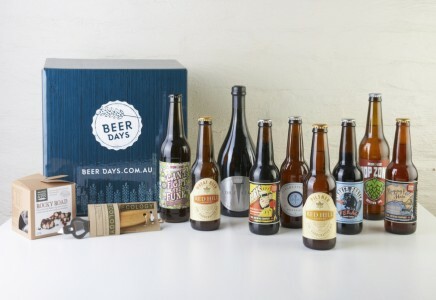 So says the press release put out by Beer Days, a new craft beer delivery service in Australia that promises to deliver the best craft beers directly to your front door. Beer boxes from Beer Days feature the very best, hard-to-find and limited release beers in Australia – including local and international craft beer – delivered regularly or on a one-off basis, to save you the hassle of having to go to the store and deciding on what beer to buy for yourself. It names Brew Cult’s Get Down American Brown Ale as one of the beers you can expect to find in a Beer Days box, a beer that’s all-but impossible to find in Australia. Barrique Okarma is another. Beer Days was started in 2011 by two young Aussie guys who were aiming to combine their three favourite things – good food, good mates and great beers. They began hosting boutique beer events for small groups and in some of the best restaurants in Sydney. The goal of Beer Days is to bring craft beer to the masses. The press release says: “If more people drink craft beer, then more brewers will make the stuff – great stuff – and since they don’t have any brewing skills, they figured they’d take this approach. Monthly or quarterly Beer Days beer box deliveries cost from $54.95 AUD for eight beers, $64.95 AUD for 12 beers, or $74.95 AUD for a box of 16. One-off gift boxes are priced from $69.95 for an eight-pack of craft beers, $79.95 for a dozen, or $89.95 for 16 beers. All prices include delivery in Australia only. Orders to Western Australia, Northern Territory and Tasmania will incur an additional $15 AUD delivery fee.